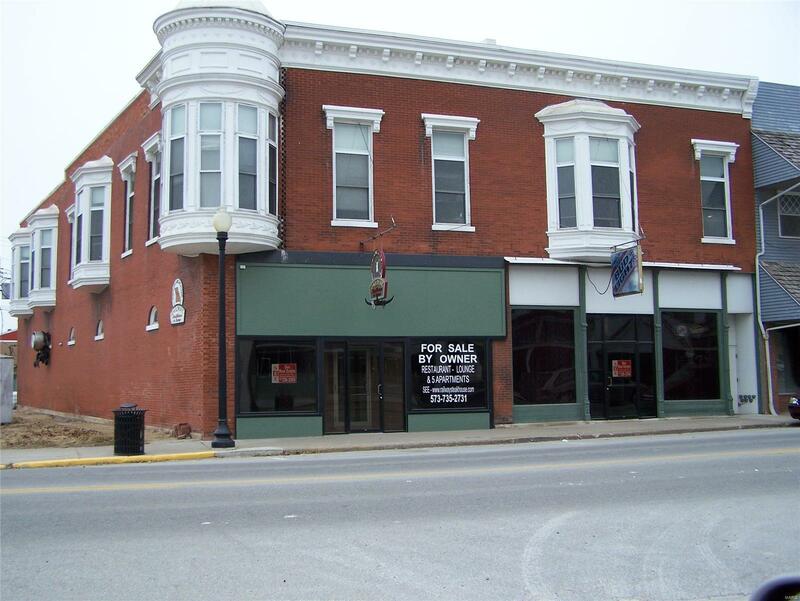 Income Producing Building Complex Historic Downtown location at Mark Twain Lake’s Main Street—Monroe City. Current Income from 5 upper level efficiency apartments and all the basic needs to open your own eating establishment or lounge. The sale includes all tables, chairs, cooking equipment, refrigerators and freezers. Serving items, & miscellaneous equipment. Upper level has current income and potential for a few more units. Property being sold "AS IS"